The International Air Transport Association (IATA) has welcomed the Copenhagen climate accord as an important step in the right direction for combating man-made environmental change. IATA says while aviation emissions were not addressed specifically in the accord, this was a reflection of the pro-active measures the industry has taken to set challenging targets for itself, together with an aggressive strategy to achieve them. 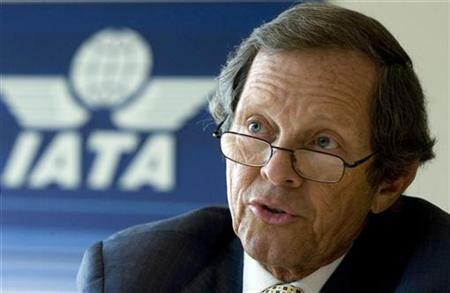 “The industry will continue to work towards achieving these global targets, which were recognised by the member states of the International Civil Aviation Organization (ICAO) at its High Level Meeting on Environment in October 2009 and which were commended by UN Secretary General Ban Ki-moon at a meeting with Giovanni Bisignani, IATA’s Director General and CEO, in New York later that month,” IATA sad in a statement issued after last month’s Copenhagen climate summit. IATA added will continue to work with ICAO to develop a global framework for managing aviation emissions. “We came to Copenhagen to be part of the deal and we were encouraged by the level of support for the industry’s global sectoral approach and targets. We will continue to press states to include these global targets in any future deal,” said Bisignani. “Airlines, airports, air navigation service providers and manufacturers are reinforced in their commitment to improve fuel efficiency by an average of 1.5% per year to 2020, to stabilise carbon emissions from 2020 with carbon-neutral growth, and to a net reduction in carbon emissions of 50% by 2050 compared to 2005,” he added. Bisignani said, “We also found consensus among the delegations that a global sectoral approach should be established for aviation emissions by ICAO, the UN’s specialised agency for aviation. We will work closely with ICAO to prepare a global framework for managing aviation’s emissions for the ICAO Assembly to consider in September 2010. And we will urge governments to ensure this framework is presented to COP16 in December 2010. The aviation industry is already working towards its climate change goals through its four pillar strategy. The strategy focuses on investing in new technology, flying smarter, building efficient infrastructure, and taking advantage of positive economic measures, IATA added.